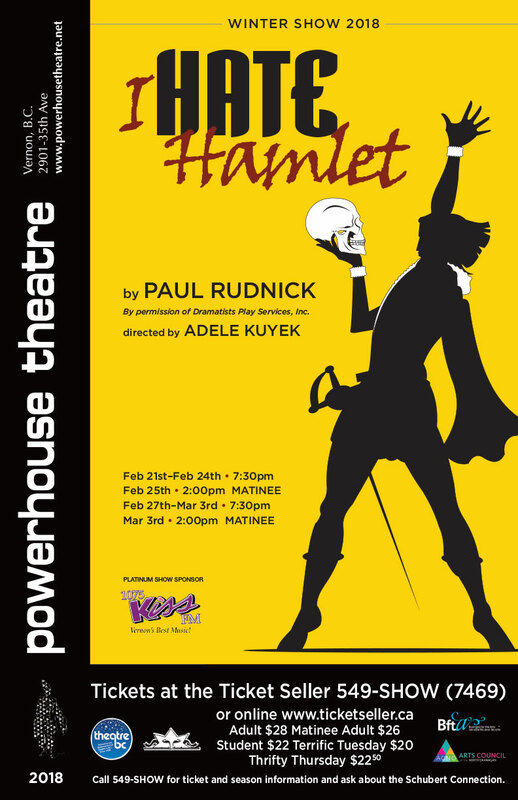 The remarkable story and artistic legacy of a local legend comes to life on stage at the Powerhouse. An epic theatrical journey, Sveva steps into the vivid, beautiful, and sometimes harrowing imaginative world of Caetani’s paintings, while celebrating her relationship with Vernon, and the many good companions there who contributed to her life’s inspiring second act. A quiet town. A mysterious family. A visionary artist. An epic theatrical journey. 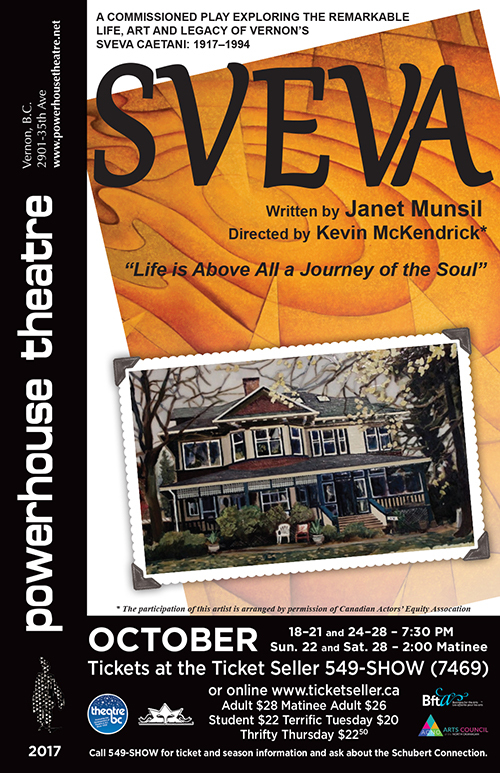 A new play created especially for the Powerhouse Theatre, exploring the remarkable life, art and legacy of Vernon’s Sveva Caetani. 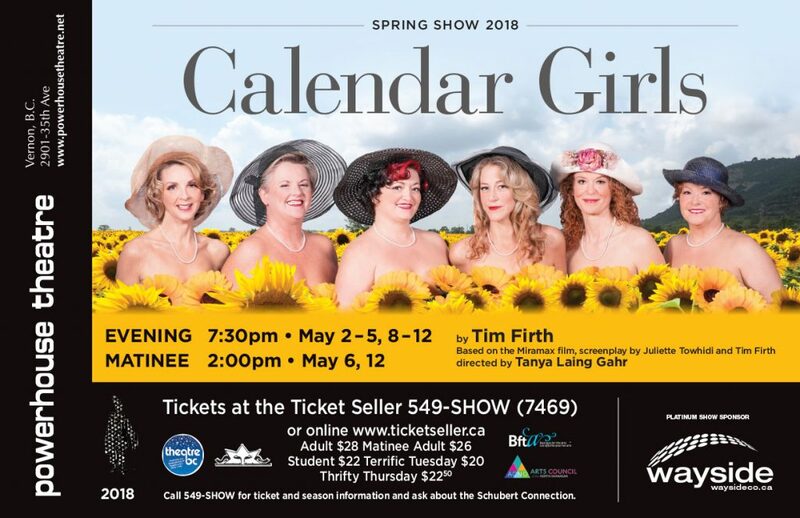 * The participation of this artist is arranged by permission of Canadian Actors’ Equity Association under the provisions of the Dance. Opera. Theatre Policy (DOT). Every life has an expiry date, but for Her – she never expected it would come so soon. More than that, she didn’t expect Him. Him & Her follows the highs and lows of a relationship as they navigate through familiar arguments and the difficult nature of truth. This short, two-person one-act play is written and directed by Keyanna Burgher. 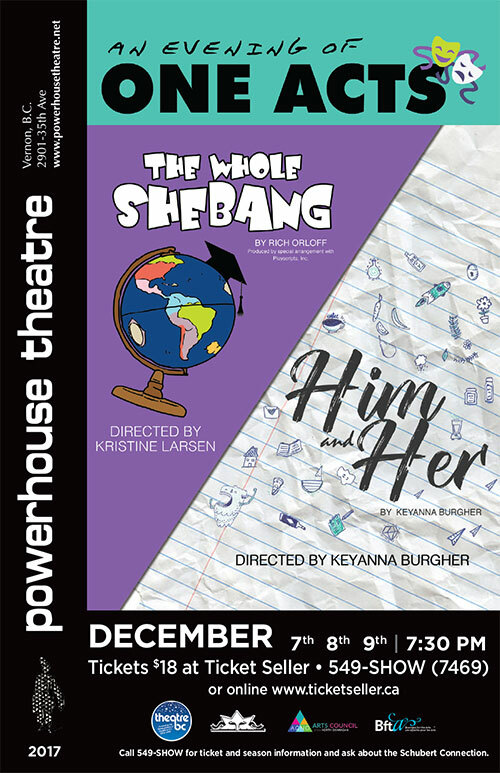 The Whole Shebang is a charming, whimsical comedy that asks the question, “What if the entire universe was just some nerd’s science project?” In a classroom in a dimension far beyond ours, a student striving for a “Master of the Universe” degree gives an oral presentation on an unusual thesis — the creation of the heavens and the earth. The Dean and two Professors quiz both the student and two of the student’s visual aids, a “typical” human husband and wife. TV reality star Andrew Rally moves to New York into John Barrymore’s apartment and lands the role of a lifetime—playing Hamlet. Problem is, he hates Hamlet! Hilarity ensues when John Barrymore’s ghost appears to coach Andrew to fulfil his destiny.